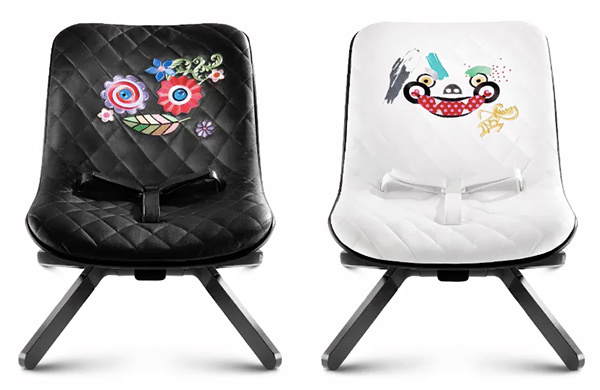 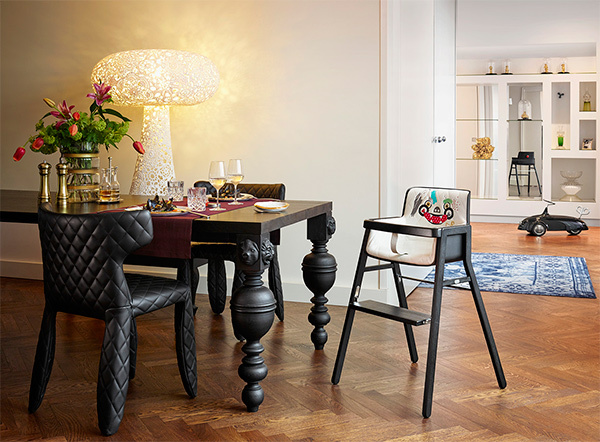 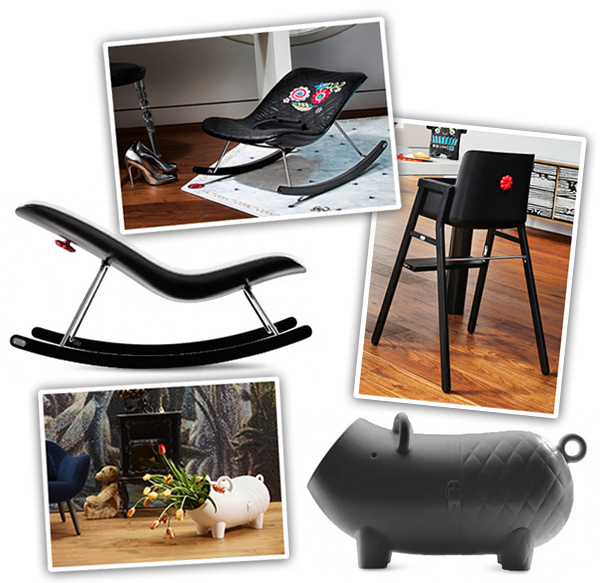 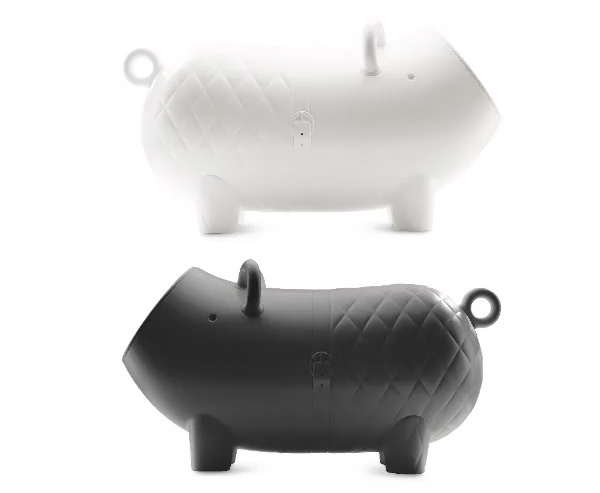 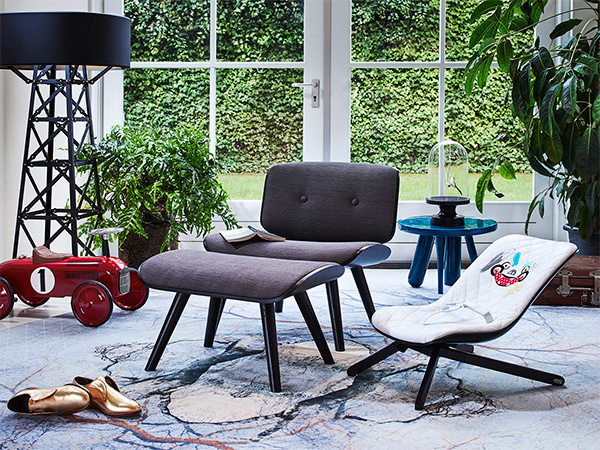 The Cybex by Marcel Wanders “Parents Collection” that is freshly launching at Milan Design Week is making me glad we don’t have a baby… because that pig and rocker are pretty tempting! 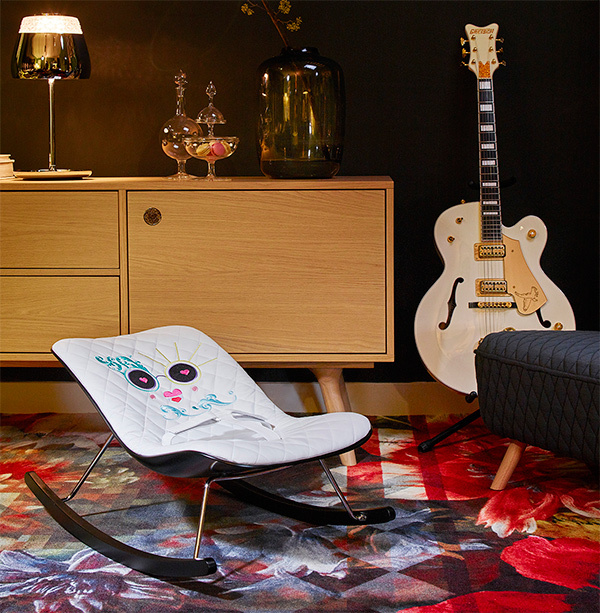 If only the rocker/chairs had the ability to evolve and grow beyond infant stages to stay useful in a kid free home! 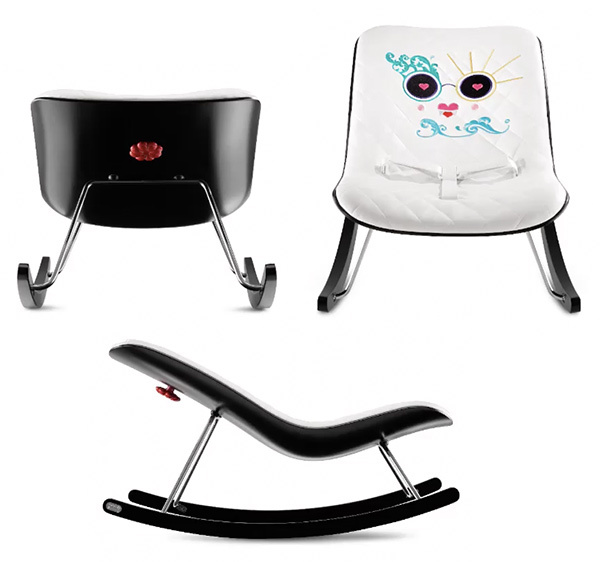 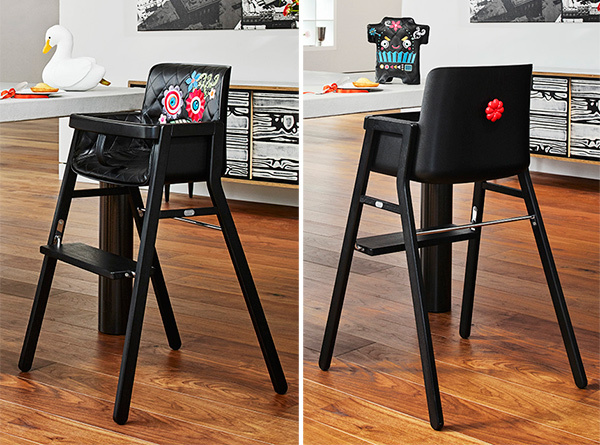 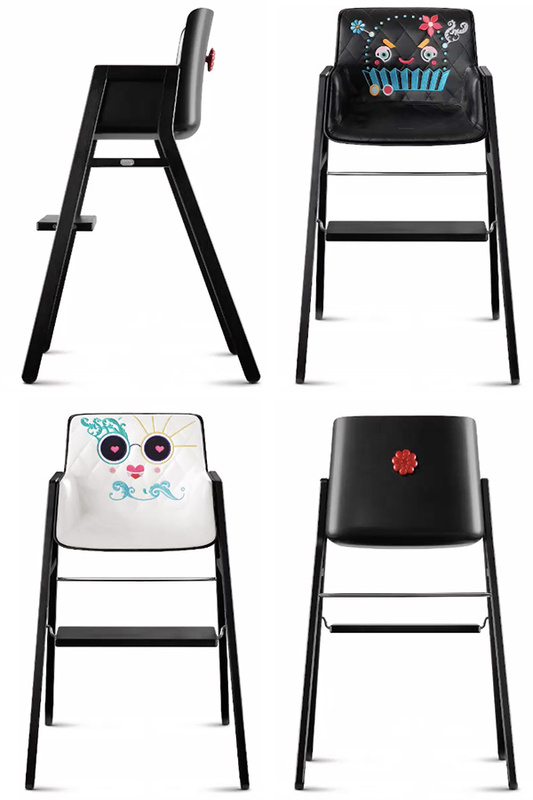 The collection includes a high chair, rocker, bouncer, and colorful accessories for infants. 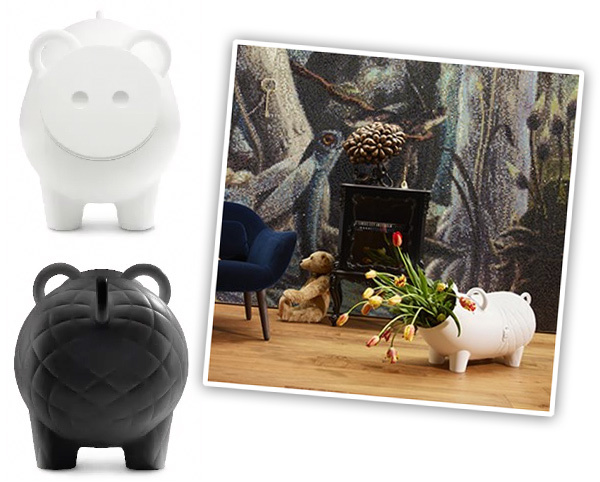 Check out the collection on the next page!